SAN DIEGO - USS Paul Hamilton (DDG 60) will swap homeports with USS William P. Lawrence (DDG 110) this summer, the U.S. Navy announced March 17. William P. Lawrence departed San Diego on a regularly scheduled deployment in January and will arrive in Hawaii in mid-2016, and Pearl Harbor-based Paul Hamilton will move to San Diego. This move supports the rebalance to the Indo-Asia-Pacific, placing our most advanced capabilities and greater capacity in that vital theater. Likewise, it will allow Paul Hamilton, also a guided-missile destroyer, to proceed to San Diego for a scheduled extended dry-docking selected restricted availability. Both Paul Hamilton and William P. Lawrence are Arleigh Burke-class guided-missile destroyers that perform key roles in support of a carrier strike group, expeditionary strike group, or surface action group. 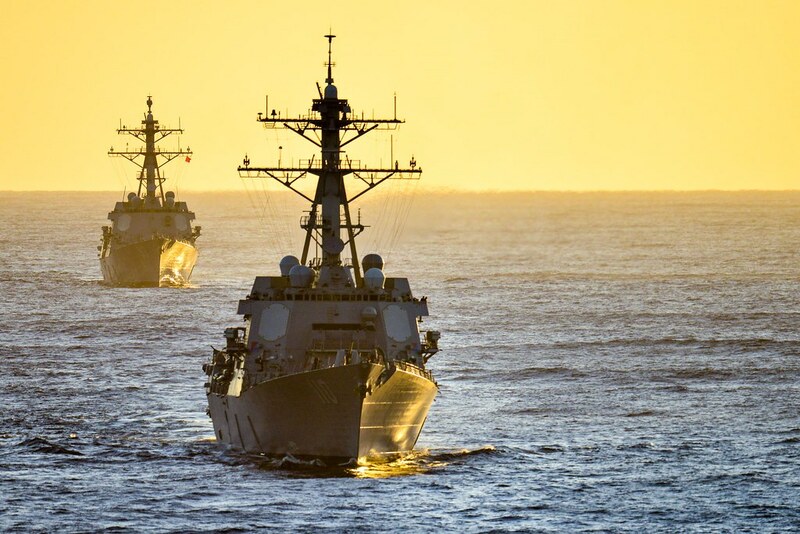 Maintaining the most technologically advanced ships supports the United States’ commitment to the security, stability, and prosperity of the Indo-Asia-Pacific.